Squatter settlement in Farola compound, early 1971. The Tagalog sign reads, "Barrio of the People Who Have Nothing." From the Richard Poethig Papers. The issue of limited land and growing population is a dynamic that today confronts many nations, including the United States. In the case of the Philippines, a nation with a population that has grown from a 1903 census figure of just under 8 million people to a 2016 figure of 101 million people, it is a central issue, especially with respect to available housing. In 1957, the year I arrived in Manila with my wife, Eunice, and our three children (all under the age of four), the Philippine government was facing a major housing crisis. During the Second World War Manila was one of the most thoroughly destroyed cities in Asia. Ruins were still evident throughout Manila. Another reality was the growing squatter population. Both town and rural people had flooded into the city at the end of the war, putting overwhelming pressure on all available living spaces. Squatters used any building materials at hand: loose bricks and cement blocks left over from ruined structures, galvanized iron sheets, old lumber, even cardboard. 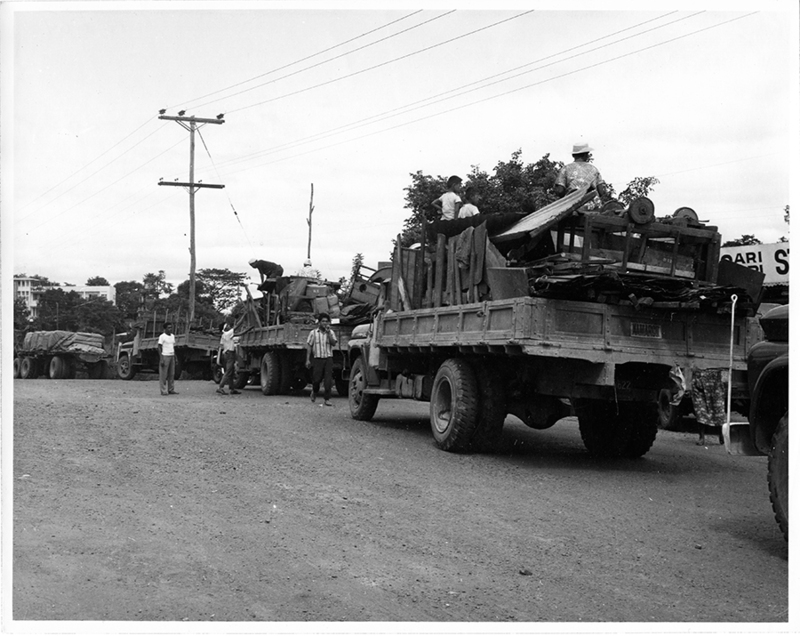 Relocation of squatters from Intramuros to Sapang Palay, circa 1963-1964. From the Richard Poethig Papers. The most dramatic assemblage of squatter shacks was to be found on the Manila Foreshoreland, a reclaimed tidal land that was one of the first places the migrants occupied. The adjacent inter-island docks provided stevedore jobs for many of the foreshoreland residents. The most immediate issue for the migrants was acquiring the land on which they were squatting. In June 1956, during the Magsaysay administration, the North Harbor residents were encouraged by the passage of Rep. Act 1597, which said that the Tondo Foreshoreland would be subdivided and distributed to bona-fide residents. The current squatter residents looked forward to being among the recipients of that promise. Tondo Foreshoreland map, n.d. From the Richard Poethig Papers. Click for larger image. But during the early 1960s, pressure was being exerted by government authorities to deal with the growing squatter community in a different way. 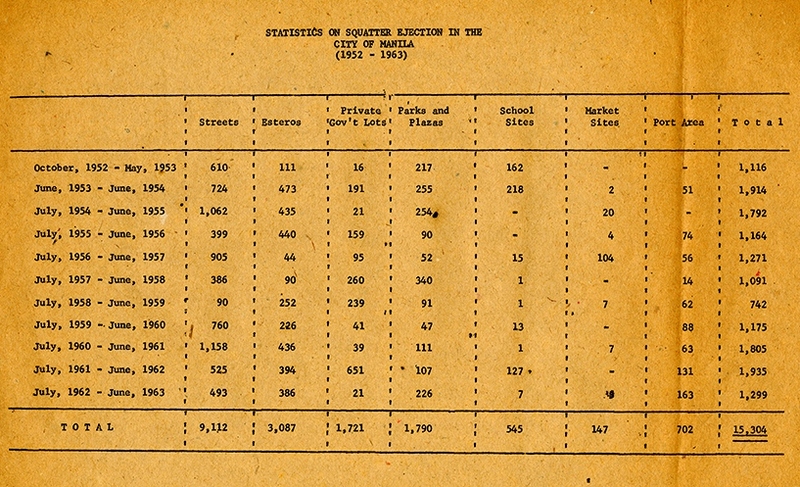 In December 1963, Manila Mayor Villegas evicted squatter residents from the Intramuros, the old walled city area, as well as from areas of the North Harbor. The mayor’s plan called for the squatters to be relocated to land in Sapang Palay (or, "The Place of the Wet Rice"), 40 kilometers north of Manila. When the North Harbor people were relocated there, the Ellinwood-Malate Church, the major UCCP congregation in Manila, called for a response by the national church. Respond it did, through its Committee on Industrial Life and Vocations, first by seeking the assistance of Church World Service (CWS). As the Protestant churches’ major agency for overseas development assistance, CWS provided social and economic assistance in emergency situations. 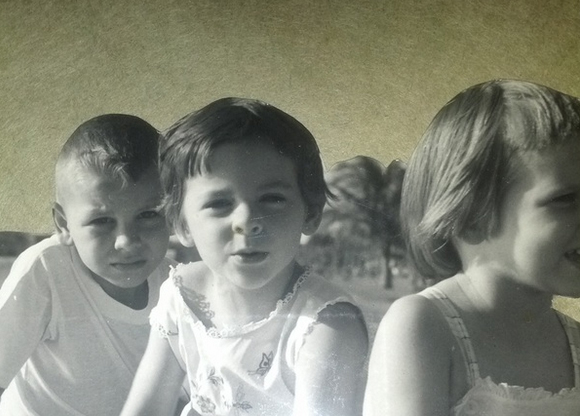 Poethig children, Manila, 1961. Via www.maniladays.com, by Kathryn Aileen Poethig. Church World Service purchased land in Sapang Palay for the building of an Interchurch Community Center that would provide a preschool and child feeding program, a youth recreation program, and a community development program centered on gardening. Despite such successes, it soon became apparent that many of the people being served by the center were drifting back to Manila. There was little available work in the rural area of Sapang Palay for the relocated squatters, and what land had been granted them was too small to raise crops. Many of the men returned to Manila to find employment, with some returning to Sapang Palay on weekends and others beginning new families in the city. The fear of further squatter relocations set the stage for the organizing of a squatter resistance movement, which received additional help from the religious community. The Roman Catholic sisters in the social service institutions and the UCCP Committee on Industrial Life and Vocations, of which the United Presbyterian Church in the U.S.A. was a constituent member, recognized that the squatters' issues needed to be solved in Manila. This was the beginning of an ecumenical engagement between the Roman Catholic sister- and priest-orders and those in the Protestant social witness programs. Chart on squatter ejections, n.d. From the Richard Poethig Papers. Out of this ecumenical cooperation in 1969 grew the Philippine Ecumenical Council on Community Organization (PECCO). The five Roman Catholics and five Protestants who made up PECCO established a program in community organizing, using the Tondo Foreshoreland on Manila Bay as a training ground. I served on the council along with one other U.S. citizen, Denis Murphy, S.J. This program soon gained wide acceptance in Asia, and an Asian Committee for People’s Organization was established in March 1971 in the Philippines. PECCO was created to foster community organization in the Manila area, and yet it soon became apparent that the squatters were already well-represented; there were some sixty separate squatter organizations alone in Tondo. To foster a unified, community-wide effort, the churches—both Roman Catholic and UCCP—worked to bring the various groups together into one organization. 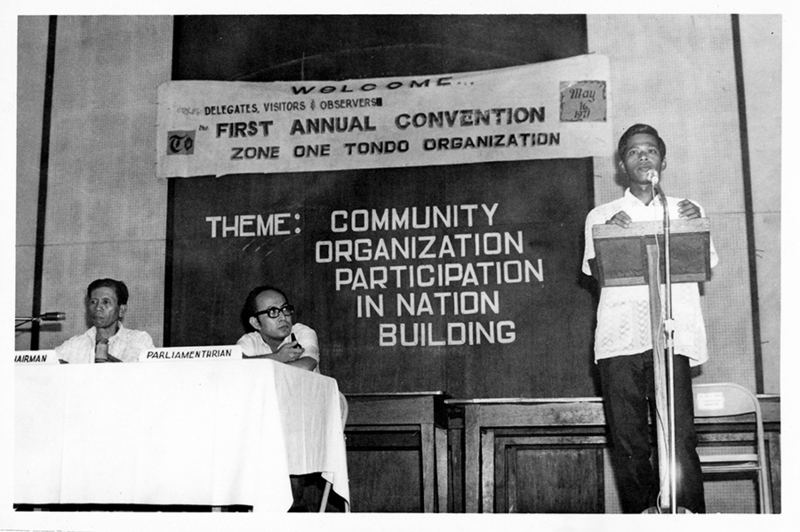 The initial body was a confederation named the Council of Tondo Foreshoreland Community Organizations (CTFCO); its first move was to present the demands of the CTFCO to President Marcos on his birthday, September 11, 1969. 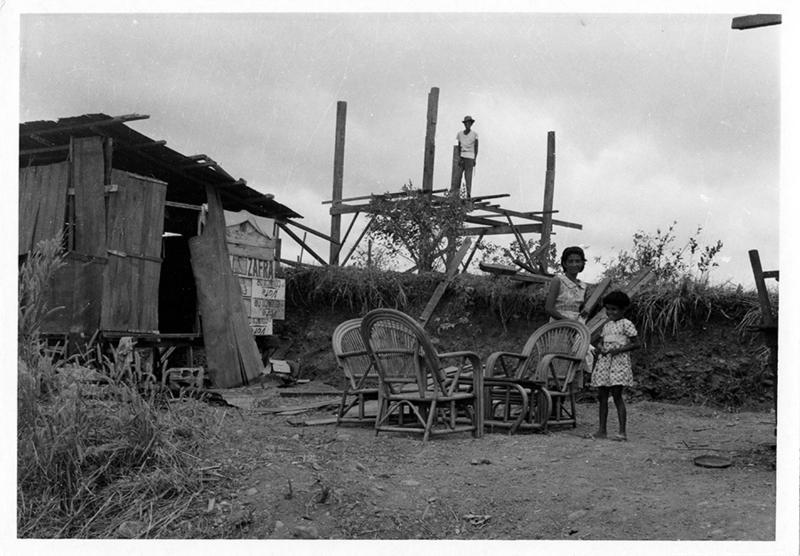 Intramuros squatters settled in Sapang Palay, circa 1963-64. From the Richard Poethig Papers. I was among the five thousand people who marched in torrential rain to the Presidential palace, but the presentation of demands went nowhere. The occasion did, however, provide the necessary energy for PECCO to unify the energies of the sixty separate organizations in the CTFCO into one community organization, the Zone One Tondo Temporary Organization (ZOTTO). The people of the Tondo Foreshoreland petitioned other prominent leaders. In November 1970, they requested a meeting with Pope Paul VI, then visiting the Philippines (in part to show his commitment to the poor). Trinidad Herrera, chairwoman of ZOTTO, told the pontiff about the promises past Philippines administrations had made regarding the rights of people who had been occupying land to own it. She also explained the improvements people had made to the land and how the organization they had created was beautifying and modernizing the area, making it attractive both to tourists and merchants. Herrera asked the Pope to stand with the people in realizing the struggles Tondo squatters had confronted over the past twenty years. 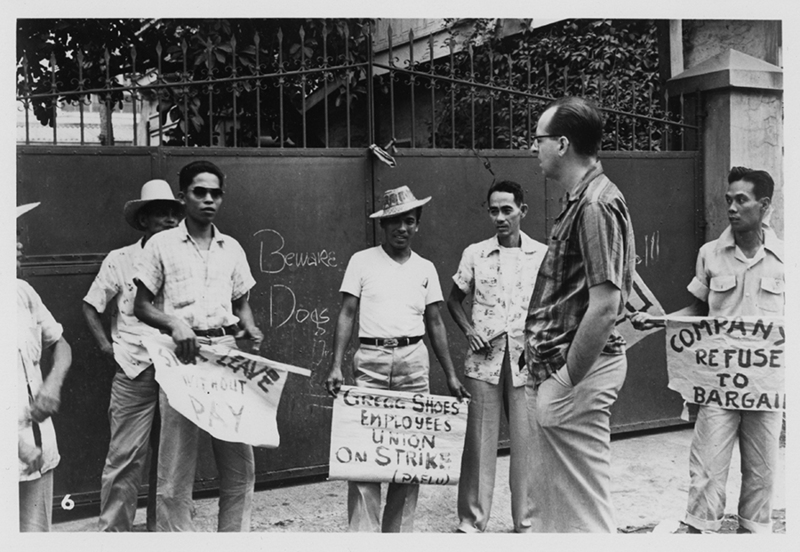 Richard Poethig with striking shoe workers, n.d. From RG 360 Missionary Vertical Files. The Pope received the appeal graciously and promised the support of the Roman Catholic Church on the squatters' behalf—support that helped to solidify the nascent ZOTTO organization and move it from a temporary status to a full-fledged community organization. A constitution was written and Trinidad Herrera elected to head the new, no-longer temporary, ZOTO. The strengthened community organization moved ahead on several fronts. 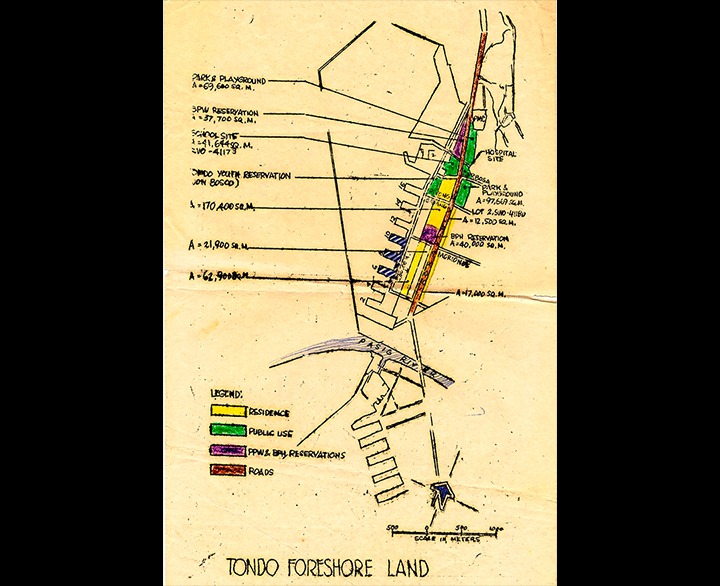 When the ZOTO land committee discovered that the government was building a warehouse in the midst of the Foreshoreland, ZOTO immediately mapped out lots and streets adjacent to the warehouse's Farola Compound. In February 1971, the people of ZOTO occupied that area, staking out their lots as previously planned. In July 1971, ZOTO took action again, this time in connection with the building of a condominium building in a lot adjacent to Slip Zero on the Tondo Foreshoreland. The rents for an apartment in the planned condominium were well beyond the means of the people of ZOTO, who responded by occupying the compound on the evening before the July 4th holiday. METROCOM troopers were sent in to tear down the makeshift houses and move people from the compound. This time ZOTO responded with a picket line, and the general manager of the People’s Homesite and Housing Corporation (PHHC)—the government agency building the condominium—met with ZOTO leaders. In the agreement reached with the PHHC, the general manager agreed to facilitate the land titling of the Tondo Foreshoreland in accordance with the law. 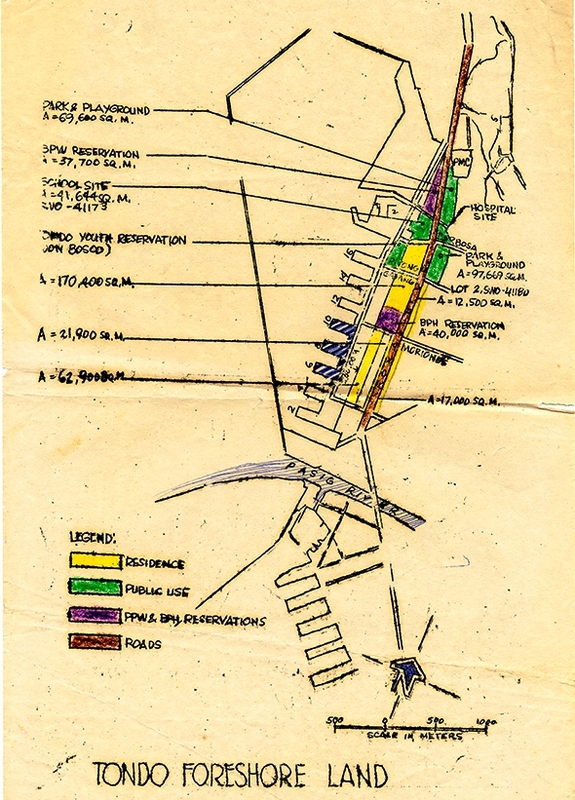 On the basis of the agreements reached with the PHHC, ZOTO leaders began pursuing funding possibilities for housing plans with a Protestant development agency in West Germany. That agency, Entwicklungshilfe, responded favorably to the appeal and in November 1971 granted $1 million for Tondo housing. This progress did not mean the problems facing Manila squatters were consigned to the past. By early 1971, the political situation in the Philippines had become even more intense. Anti-Marcos criticism had grown after a disputed election campaign resulted in his re-election. Under pressure from student activists, classes at the University of Philippines were in disarray. Anxiety further rose with the shooting of a student by a university professor, causing the closing of the school; our son Scott, then a freshman, decided to continue his education in the United States. The student activism continued into the summer of 1972. 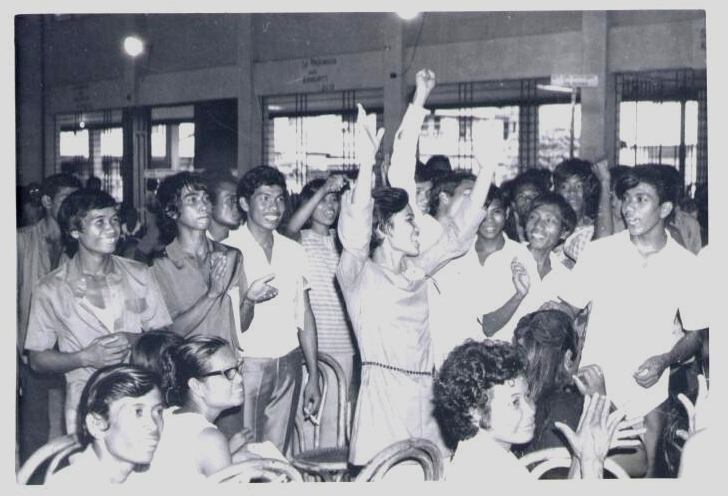 Trinidad Herrera with arms raised, ZOTO conference, May 1971. Photo courtesy of Richard Poethig. On September 21, President Marcos declared martial law and moved toward authoritarian rule in the Philippines. Marcos would rule the Philippines for the next fourteen years, and during that time place ZOTO leadership under continual surveillance. Trinidad Herrera, despite being arrested and tortured, would remain constant in her loyalty to the ZOTO cause. The global urban-industrial mission of the churches organized through the World Council of Churches network broadcast her mistreatment and the harassment of other ZOTO leaders to the attention of world religious leaders and U.S. government officials. Ultimately Marcos’s authoritarian rule came to an end, in 1986, in part owing to pressure from the people’s movement and the withdrawal of U.S. support from his administration. 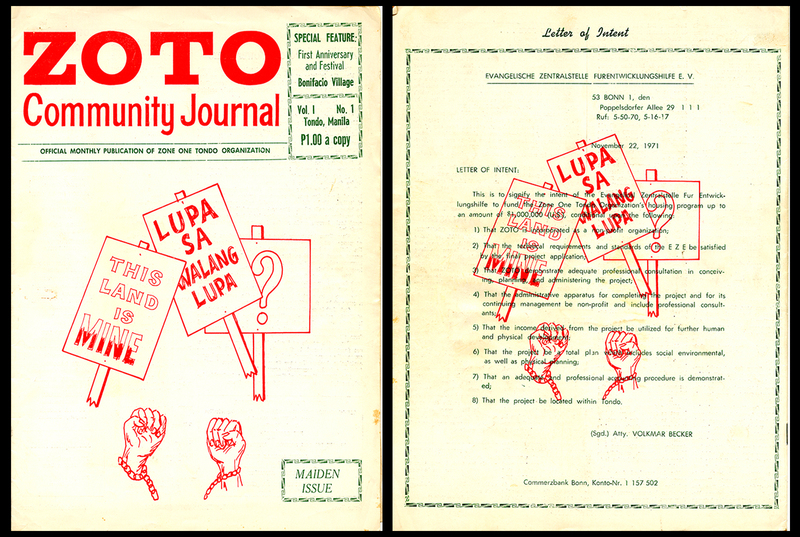 ZOTO survived the regime and remains a vital organization in the Philippines today. Its mission to help the poor has continued to grow, to the point where it serves as an umbrella group for 182 related organizations in 14 sites in Metro Manila and the surrounding areas. ZOTO publication, front and back cover, circa 1971. From the Richard Poethig Papers. Click for larger image. Further Reading: You can learn about early Presbyterian involvement in urban and industrial mission via the "Mission Years" section of www.richardpoethig.com, and from The Journal of Presbyterian History. For information about ordering the Journal, click here. For more on the Poethig's family history in Manila, see www.maniladays.com, by Kathryn Aileen Poethig, 2012. 2 hours 27 min ago. Happy #EarthDay from the Presbyterian Historical Society! Here is an image of the very first Earth Day in 1970 that comes from our collection of Religious News Service photographs. To view this image and read about the Presbyterian Church and it's involvement in environmental causes over the years, visit https://buff.ly/2GznHvN.